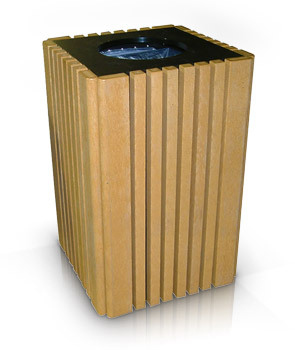 These recycled plastic trash receptacles add charm to any environment. Constructed with recycled plastic, these receptacles are perfect for the environmentally conscious buyer. 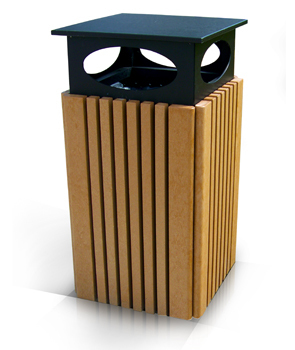 Trash receptacles can be purchased with or without a rain cap, and come standard with a plastic liner and an easy change trash bag system. They hold 40 gallons and stand at 34-1/4"H x 22-9/16" W with a 12" opening. Available in the recycled plastic color options shown below.